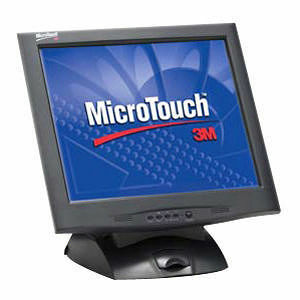 3M 11-91378-225 MicroTouch M1700SS Touchscreen LCD Monitor - 17"
The 3M MicroTouch Display M1700SS (17-inch display), a purpose-built, surface capacitive touch display, provides a cost-competitive touch alternative to 5-wire resistive display solutions. The display offers a stable base, highly durable touch screen, brilliant optics and a hidden cable management system, all in an elegant and simple-to-use design. This display easily integrates into numerous point-of-sale, PC, and thin client systems making it ideal for applications requiring long life. The M1700SS uses the 3M MicroTouch System SCT3250EX (surface capacitive touch technology) which provides superior optics, durability from contaminants like dust, liquid and grime and speed for high transaction based environments.